The UK City of Culture offers a chance to celebrate a city’s unique qualities and open its cultural life to the rest of the world. Hull in north-east England takes the title for 2017, and the city's distinctive cultural identity has shone through in a year-long programme of events, festivals and activities that have spilled out beyond the walls of its galleries and theatres to take over the entire city and bring together its vibrant community. Join us to explore some of the highlights of Hull 2017 as we look back on a successful year that is sure to put the city firmly on the cultural map. 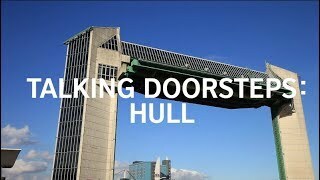 Hull has often been overlooked, but there’s a lot more to the city than meets the eye. In this article, we delve into Hull's cultural past and chart its rise to City of Culture status. Watch a series of films about Roundhouse's spoken word exchange programme which connects young poets and filmmakers across the globe, inspires them to write and perform their own poetry. BBC’s Contains Strong Language festival took over venues across Hull for the largest spoken word and poetry event the UK has ever seen. Watch some of the highlights online. Meet the artists nominated for the UK’s best-known and most prestigious art prize. In this series of films, curators Sacha Craddock and George Vasey tell us about the exhibitions presented by the four nominated artists for this year's prize. Hull celebrates local and global LGBT+ history and culture across the city with LGBT50. We caught up with Middle Child Theatre's Artistic Director Paul Smith, who told us about the company's beginnings and their big ambitions for the future. A thought-provoking photography exhibition by photographer Lee Price shines a light on the lives of Sierra Leone’s LGBT+ community. 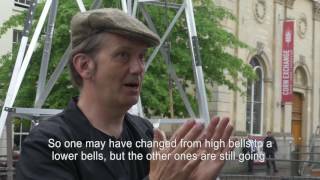 Opera North brought to life on of Hull's most iconic landmarks with a large-scale sound installation. We catch up with one of the UK’s leading photographers about his latest commission for the City of Culture. Take a closer look at Hull’s contemporary arts scene and discover the talent that makes Hull such an exciting location for the UK City of Culture. We visit the archives to learn about the Hull and find out how artists are bringing the past into present. Artist-filmmaker and curator Kerry Baldry shares films from her ever-expanding archives and her thoughts on artists’ moving image from Hull and beyond. Play is an idea often reserved for the realm of childhood. An exhibition invites us to inject renewed playfulness into our lives. For Hull 2017 the acclaimed arts collective transport audiences into Hull from the year 2097. We find out what the future holds. A host of site-specific artworks has sprung up in Hull's public spaces. We take a look at some of the highlights. A new artwork draws attention to the grave issue of marine pollution in unexpected ways. Find out who was commissioned for the UK's leading showcase of new music, honouring emerging musicians who are breaking new ground in the music industry. We trace the history of town-twinning between Hull and Freetown in Sierra Leone and find out how this special relationship is reflected in the programme. Watch a captivating series of films chronicling the daily lives of ordinary people of Hull and their counterparts in the city’s twin town Freetown in Sierra Leone.